Well hello again! I want to apologize if you follow me on YouTube because this is a rehash of #nailmas. Things got so busy close to Christmas that I couldn't keep up with blog posts and videos at the same time. If you don't follow me, this should all be new content for you. Today's post is a collaboration with Sarah of 25 Sweetpeas. We wanted to do some kind of collaboration and decided to have it be inspired by the great @cottonconey on Instagram. For this look I started with a base of Scofflaw Nail Varnish Tattooed Toad. 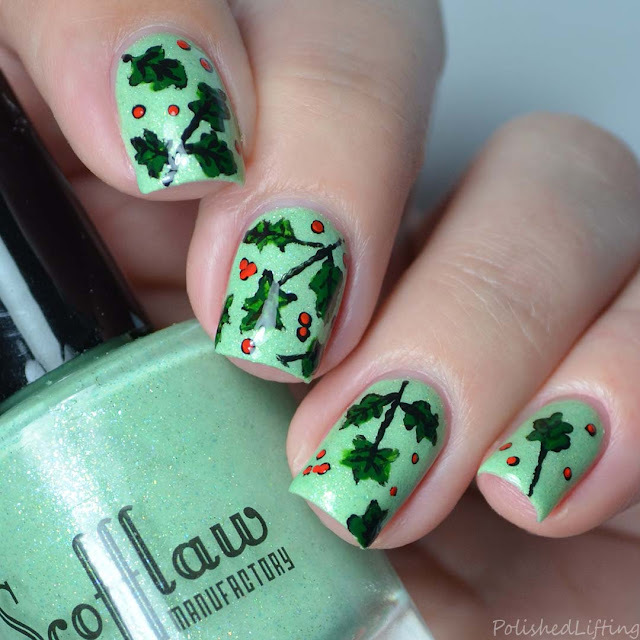 All of the details were created using acrylic paint, a nail art brush, and a dotting tool. You can see the full video tutorial toward the end of this post. If you enjoyed this post you might like Nailmas Day 3 | Twinkling Snowflakes feat. Scofflaw Nail Varnish Was That A Magic Mushroom and Scofflaw Nail Varnish Purple Rain | Polish Pickup August 2018. Hi all! I finally had a chance to play around with some more Sinful Colors Hypnotic Transforming Top Coats thanks to Oksana of The Polished Koi. I decided to take a bit of a Christmas spin on things for this look. 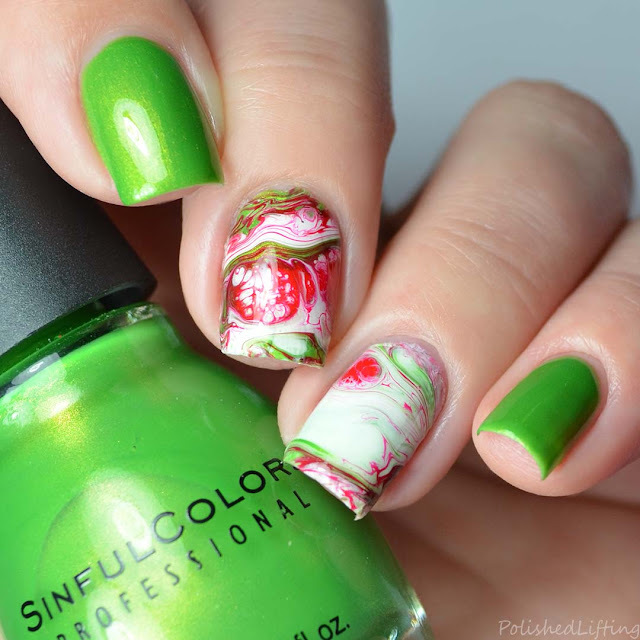 I have quite a few Sinful Colors greens, but nothing holds a torch to Happy Ending so I knew I had to use this cheerful green as part of the look. I'm getting both Christmas and planet-like feelings with this look. What do you all think? To recreate this look you can see the full process in the video below. If you enjoyed this post you might like Lime Green Fluid Art feat. Morgan Taylor | 31dc2018 Challenge and Hot Coral Fluid Art | 31dc2018 Challenge. Hi all! I hope you had a wonderful holiday. I'm back with two upcoming exclusives from Glam Polish. These colors are for the Glam Polish Facebook fan group members, so if you like these and aren't a member you should head over and join soon! The new releases consist of All That Chit-Chat's Gonna Get Ya Hurt and Hey Puddin'. Both colors were inspired by Harley Quinn and The Joker. 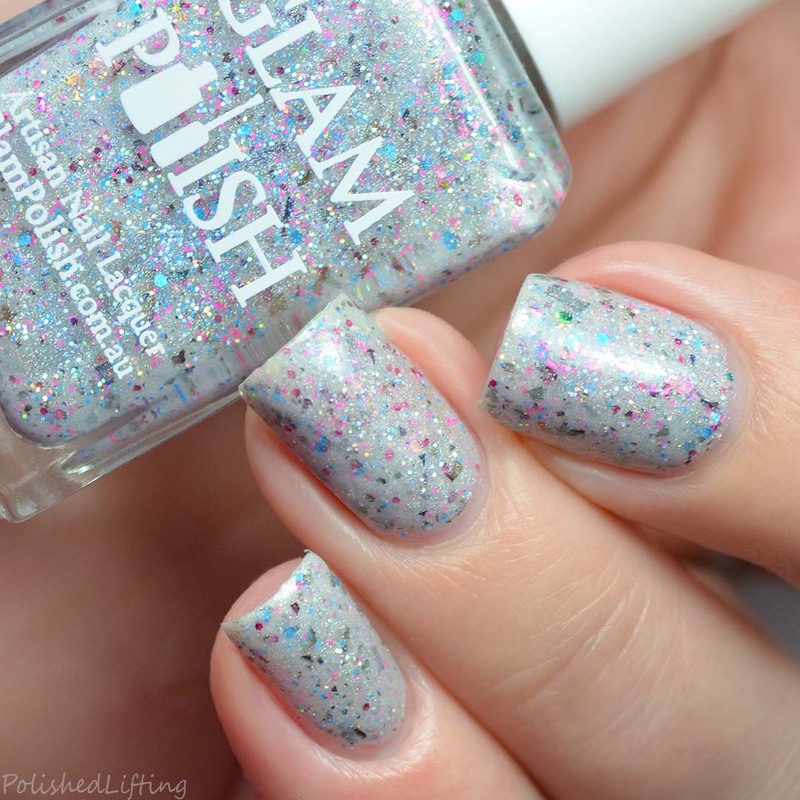 Notes: I am just dazzled by the iridescent flakies in this color. They really twinkle when you move your fingers around. 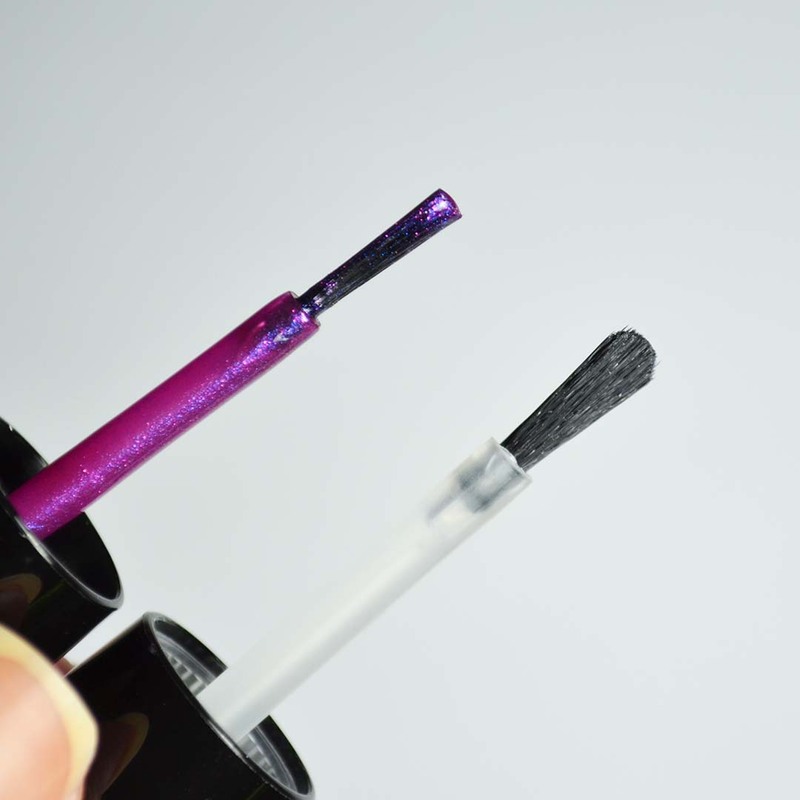 Be sure to check out the live swatch video below to see these in action! Notes: This is my favorite color of the two because I absolutely adore the flakies in this color. They really pop against the off white background and really complement the holo glitter well. 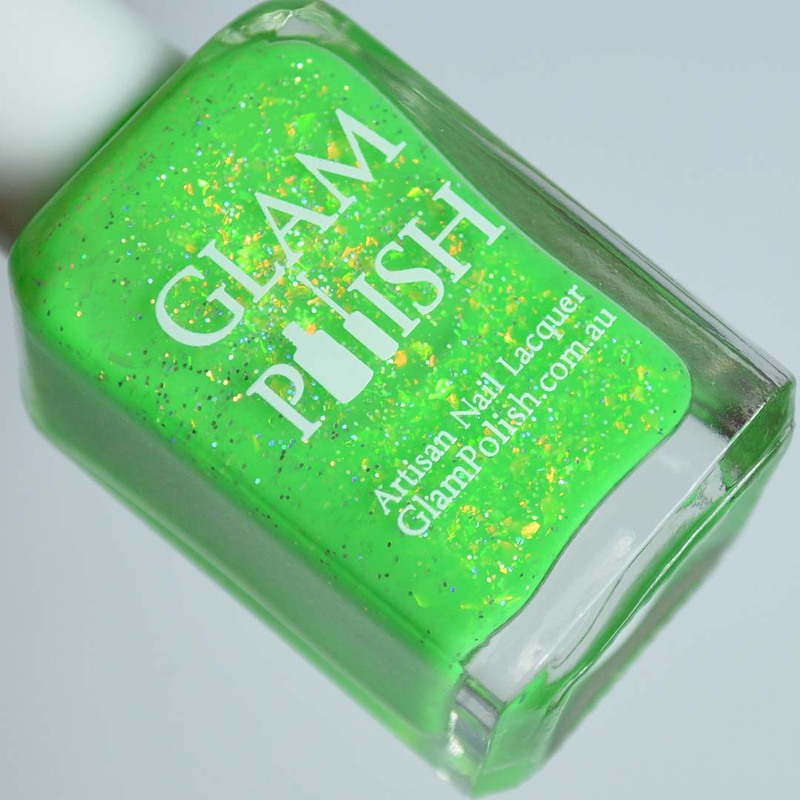 The Glam Polish January 2019 Limited Edition Fan Group exclusives will be available on Friday, January 4th at 2pm eastern. To purchase these colors you must be a member of the fan group. 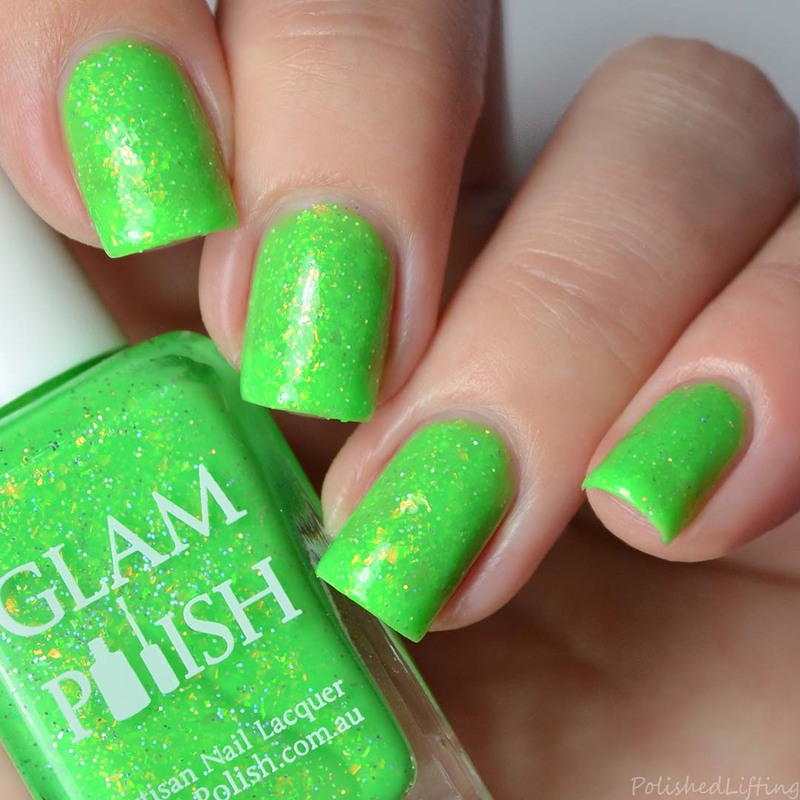 In the group you'll find a discount code to bring the price of each polish down. This discount code is required to purchase either polish. 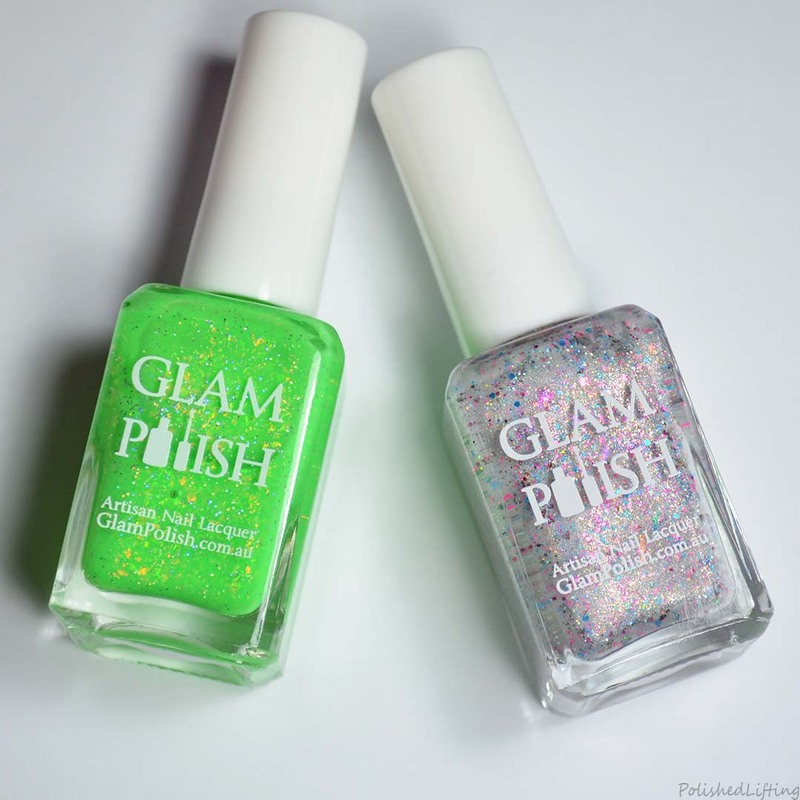 If you enjoyed this post you might like Glam Polish 6th Anniversary Duo and Glam Polish I Just Can't Wait To Be King. 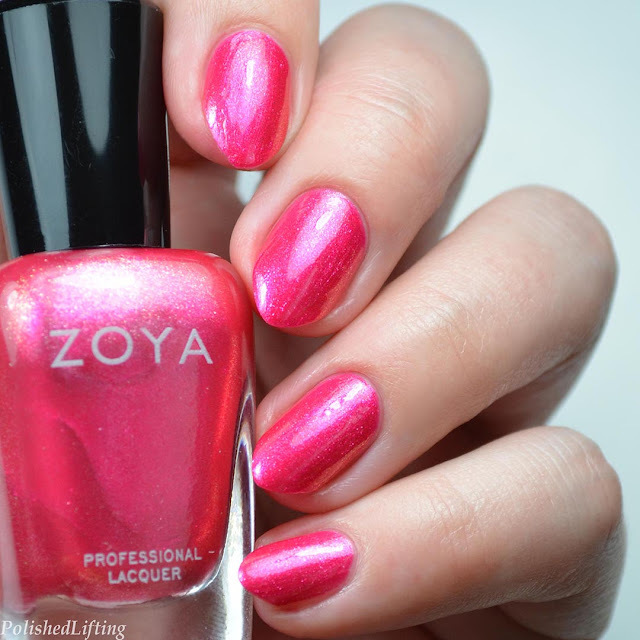 It's the most wonderful time of year and Zoya has decided to grace us with two new holos! Are you as hyped as I am?! You may be thinking, "well Courtney, you said two... there are three holos in this set." You are correct! There are three holos in this set but one was previously released as part of the Bridal Bliss collection. We're going to start with Brighton since it should be familiar to most of you. Then we'll get to the new stuff! Notes: This was previously released as part of the Bridal Bliss collection. Whether you have this (or not) this is a perfect fit for this trio. Notes: Cadence is such a cheerful shade of pink. This is such a fun holo to release this time of year. Notes: Everly is my absolute favorite from this trio. 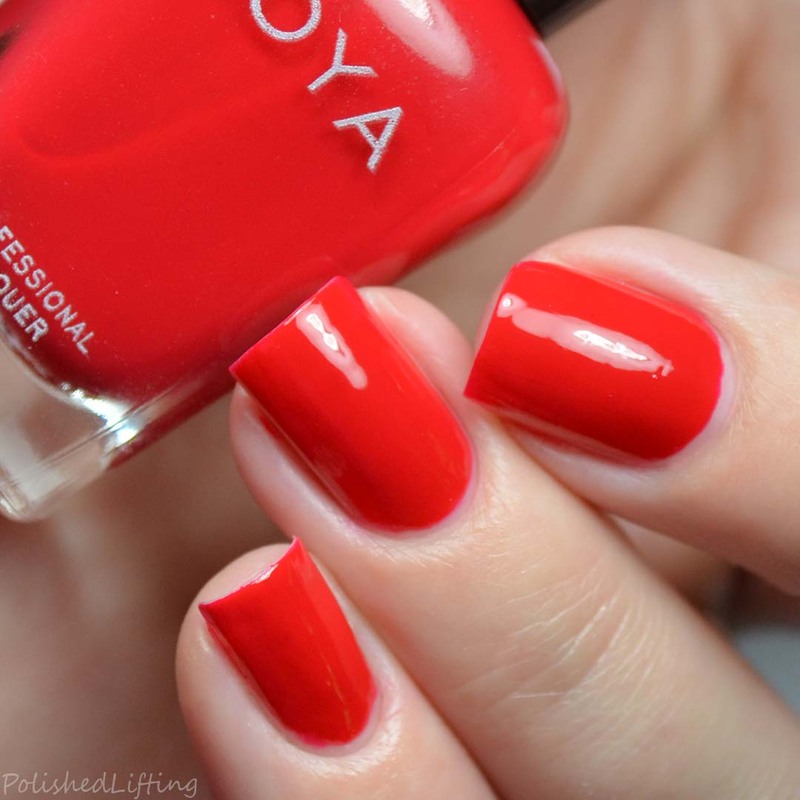 I just love how lush this red is! 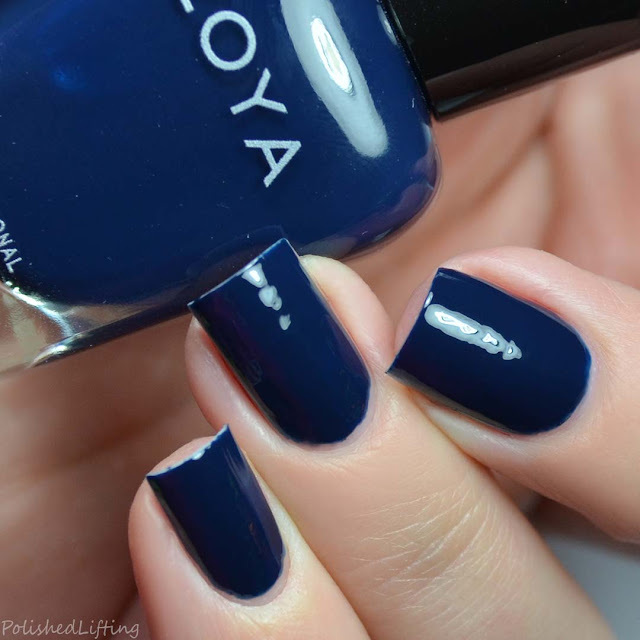 The Zoya Winter Holos Trio is currently available for $30. Use code SPARKLE for a Remove+ Big Flipper and free shipping. This is valid through December 31st at 11:59 eastern. If you enjoyed this post you might like Zoya Holo Days Quad and Zoya Bridal Bliss | Spring 2018 Pt 1. Hi all! I'm sorry to leave you hanging over here. I've been massively consumed with doing daily videos for #nailmas over on my YouTube channel. I'm going to try to play catch up over the next few days so I apologize if you've seen the videos already. 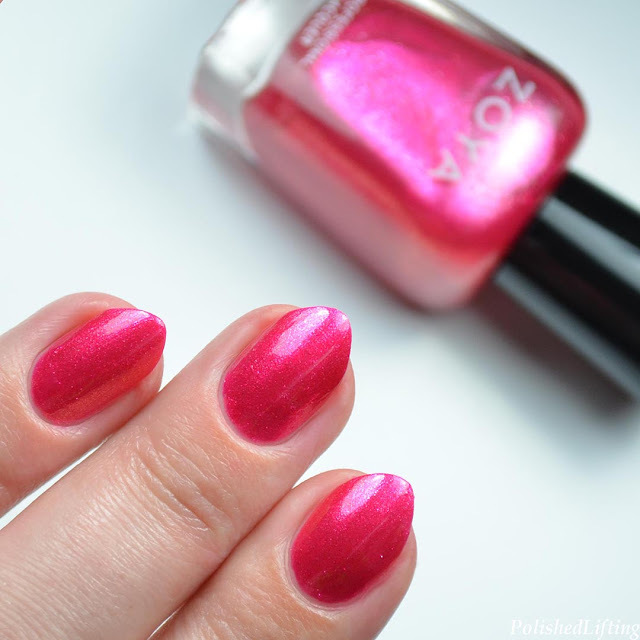 Today's post features swatches of the Zoya Holo Days Quad. If you've been to my YouTube channel you will have already seen the live swatches. If not, I've linked the video for you below. 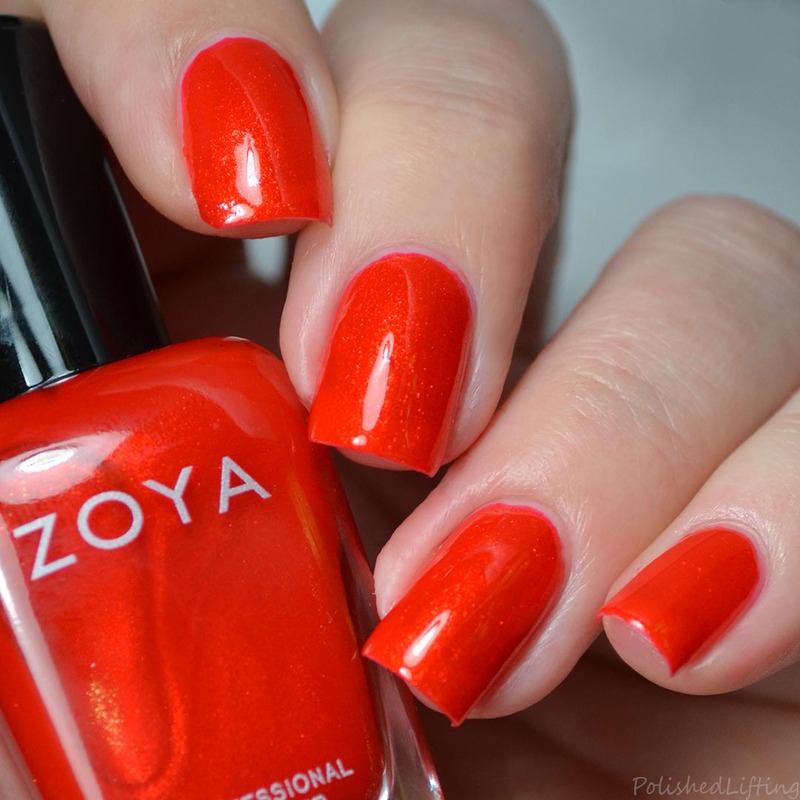 Notes: This is such a nice pairing with Zoya Ryan. I love that they did a holo and creme for each color in this set. Notes: Lael is my new favorite purple creme. I love how rich this color is! Notes: As I mentioned this is just a perfect pairing with Dream. Notes: I cannot tell you how much I love this one. 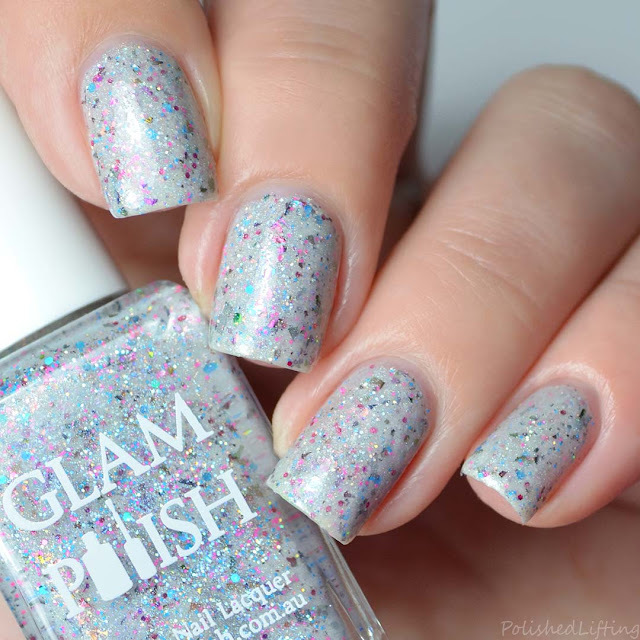 That holo is just delightful! 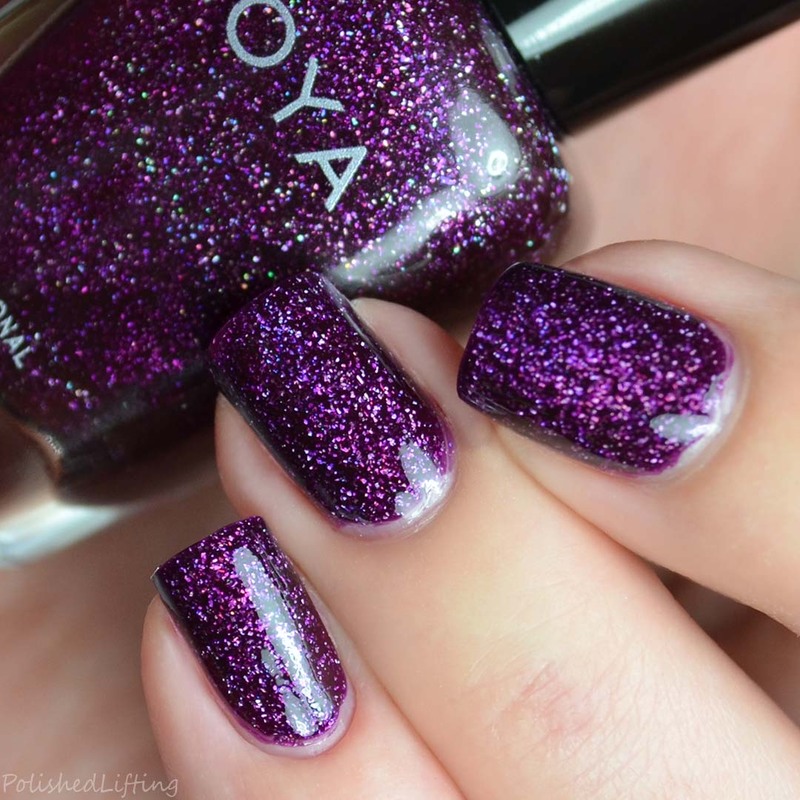 The Zoya Holo Days Quad is currently available through their website. This currently retails for $30. If you enjoyed this post you might like Nailmas Day 8 | Zoya All Wrapped Up Quad Gift Set and Nailmas Day 7 | Zoya Merry & Bright Quad Gift Set. Welcome back! I know there haven't been blog posts for a few days, but #Nailmas has been going strong over on my YouTube channel. The last few posts were more geared towards video which is why they don't have corresponding blog posts. 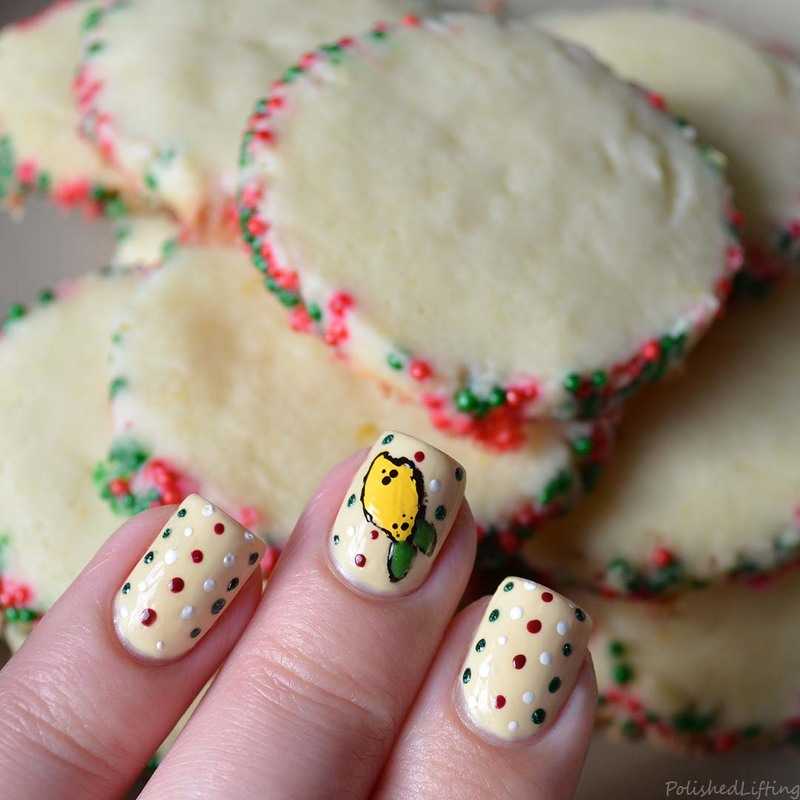 Today's post is the second annual Mani Cookie Swap hosted by 25 Sweetpeas! If you've been with me for a year you might remember last year's post. We're back again with a full Christmas Cookie Mani Swap! If you click on the link you'll find recipes and matching manis for everyone who participated this year. For my cookie I chose to do Lemon Gems because they aren't quite the typical Christmas cookie but they're still a bit festive. 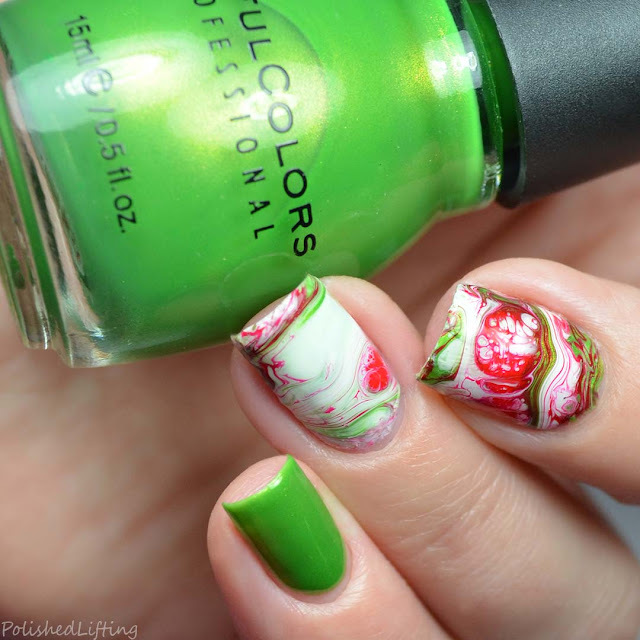 This also gave me an easy launch point for some nail art. This recipe was adapted from a recipe originally printed in Taste of Home. I personally opted to not frost these cookies to keep them from being overly sweet. The texture is quite similar to butter cookies, making these quite nice to enjoy with coffee or tea. Cream butter and sugar until light and fluffy. Add lemon peel and mix thoroughly to incorporate. In a separate bowl combine flour and cornstarch. Gradually add to creamed mixture and mix well. Cover and refrigerate for about 1 hour or until the mixture is easy to handle. Shape the dough into a 1 3/4" roll, then roll in nonpareils. Wrap in plastic wrap and refrigerate for 2-3 hours or until firm. You can also refrigerate overnight if desired. Preheat oven to 375 degrees Fahrenheit. Unwrap and cut into 1/4" thick slices placing cookies 1" apart on the baking sheet. Bake for 9-11 minutes until edges are lightly browned. Cool for 1 minute (no more or less) before transferring to wire racks to cool completely. Eat as is or combine all of the icing ingredients in a bowl and spread over cooled cookies. 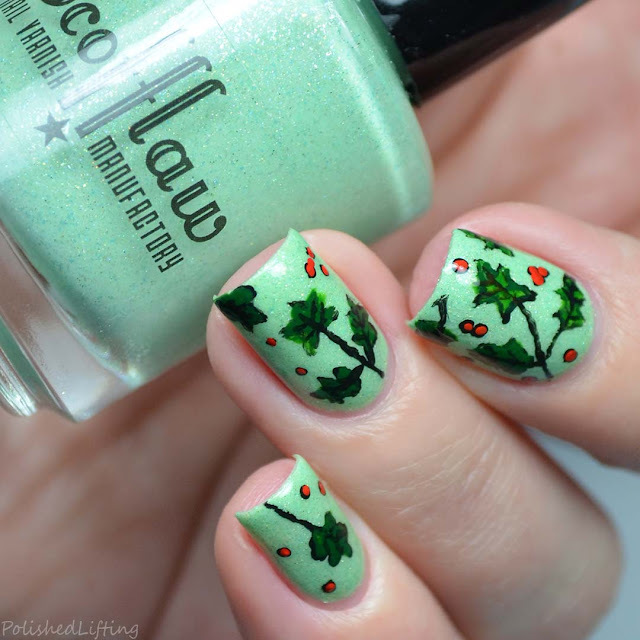 If you enjoyed this post you might like Vintage Ornaments | Ehmkay Nail x Polished Lifting Winter Nail Art Challenge and May Your Days Be Merry & Bright Christmas Manicure. Hi there! I hope you've been enjoying the #Nailmas content so far. 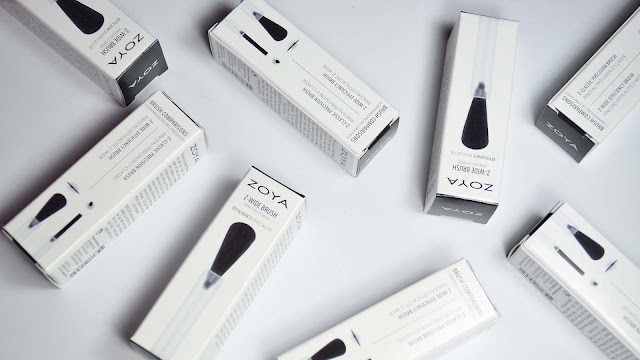 Today's post is taking a little bit of a detour away from swatches and nail art to share the brand new Zoya Z-Wide Brushes. I'm not entirely certain but I feel like there are a few Zoya colors that come with these brushes already (possibly special releases?) 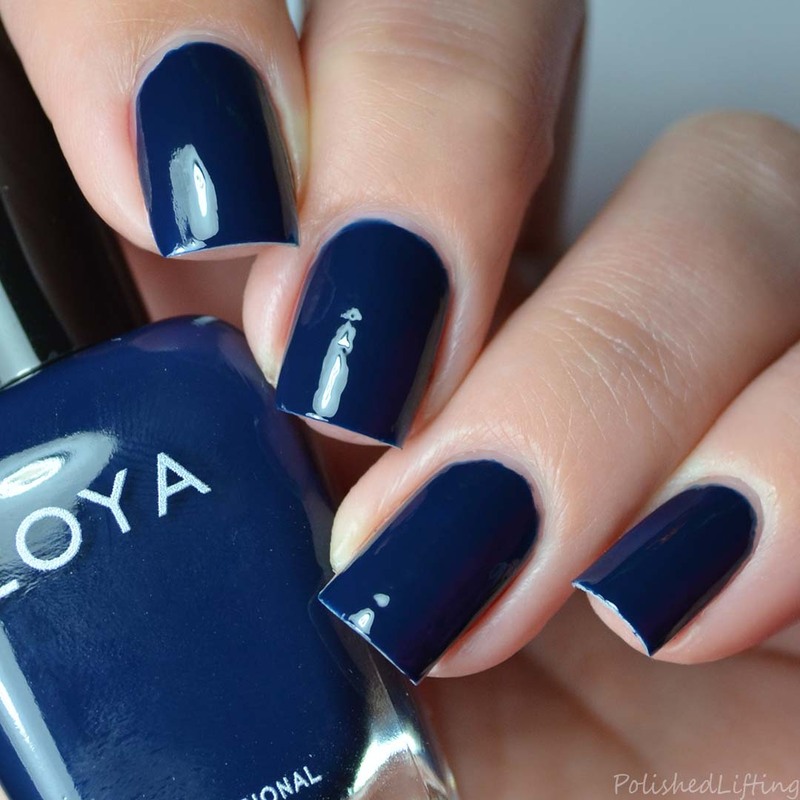 but as a whole these are new to Zoya. Many people (myself included) prefer using a wide brush to apply polish because it's quite efficient. 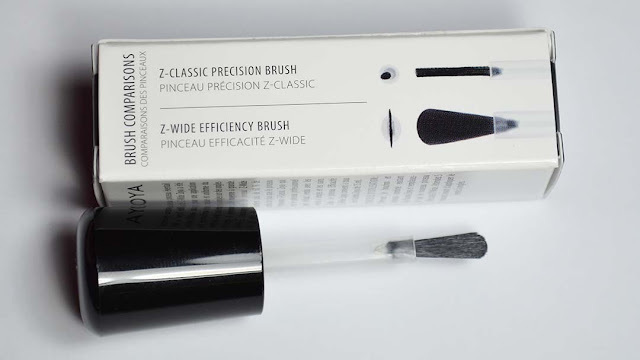 If you are custom to using the three stroke method of polish application this takes the application down to two strokes if you are precise with your movement. The new Zoya Z-Wide Brushes contain 60% more bristles than their Z-Classic Brushes, which means you'll experience an easier application overall. Above is a side by side comparison with the Z-Classic Brush on the upper left (with polish) and the Z-Wide Brush is on the bottom right (no polish). If you'd like to see a video comparison be sure to check out the short video linked below. 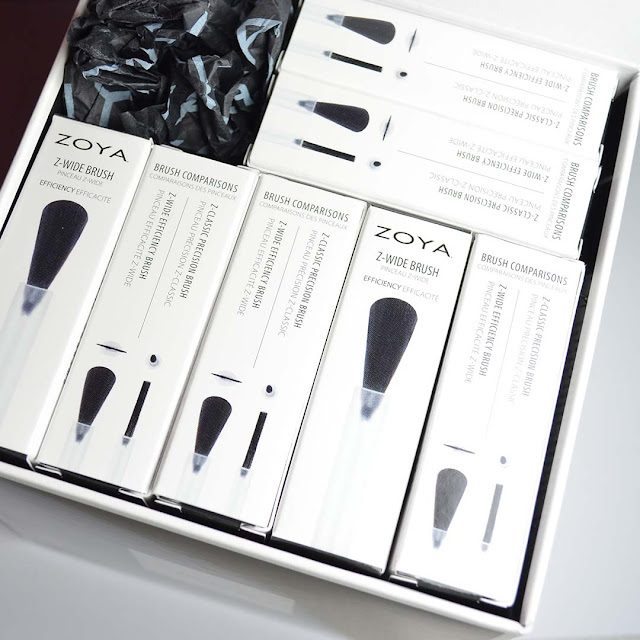 The Zoya Z-Wide Brush is currently available through their website. Brushes retail for $2 each plush shipping. If you enjoyed this post you might like Nailmas Day 8 | Zoya All Wrapped Up Quad Gift Set and Nailmas Day 6 | Zoya Naked Manicure Quad Gift Set. Welcome back to day nine of #Nailmas! Today's look is a simple freehand Christmas Ornament tutorial. You can really do this look with any colors you have on hand but I picked a pink/purple/red color scheme for this look. 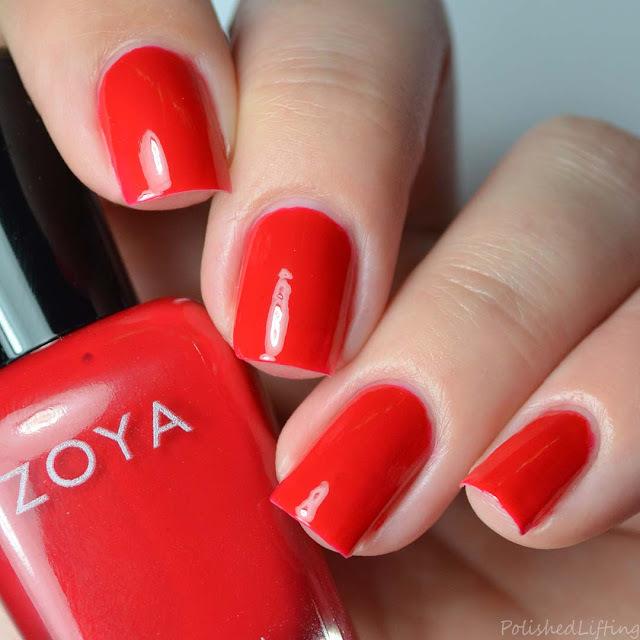 This look starts with a base of Zoya Sam. The ornaments were created with Zoya Allison, Joni, Minnie, and Winnie. Once those had time to dry I came back in with Zoya Alicia to add some holo. 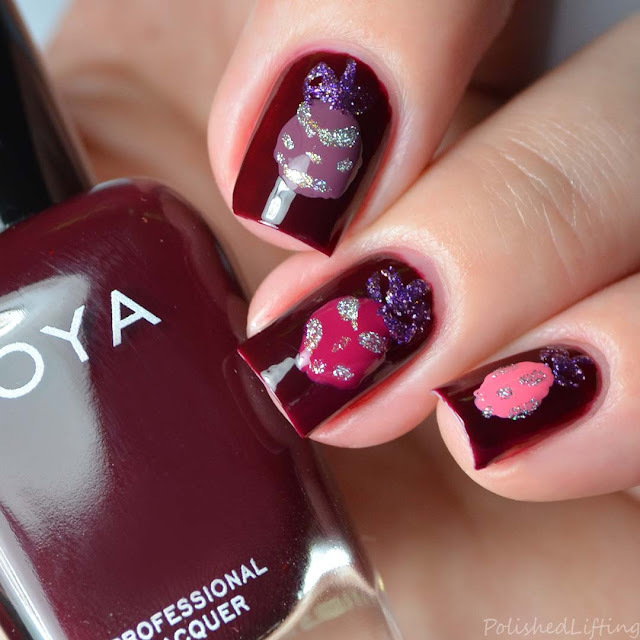 I finished the whole look off with purple bows featuring Zoya Cookie. It's a quite simple look that anyone can do. If you enjoyed this post you might like Nailmas Day 6 | Zoya Naked Manicure Quad Gift Set and Nailmas Day 7 | Zoya Merry & Bright Quad Gift Set. Welcome back to day seven of #Nailmas! 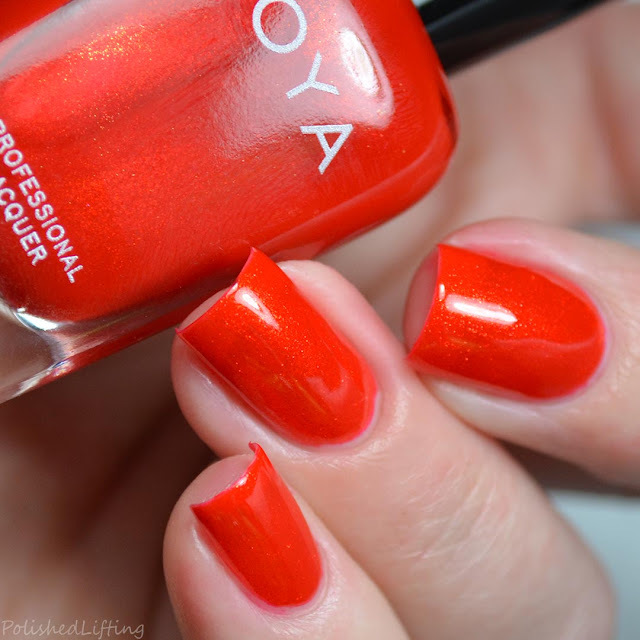 Today's post features the Zoya Merry & Bright Quad gift set. Notes: Ellie totally makes me think of a certain pink wearing fictional lawyer with several movies out. It's totally awesome! Notes: I cheated a little bit with this swatch since I had swatches of it previously when I reviewed it as part of the 2017 Wanderlust collection. Notes: I'm a little bit unsure if I agree with Zoya calling this a red shimmer, but it's pretty whatever color it is! Notes: Carmen is such a great, true red. If you don't have a favorite red in your collection it's worth picking this one up. 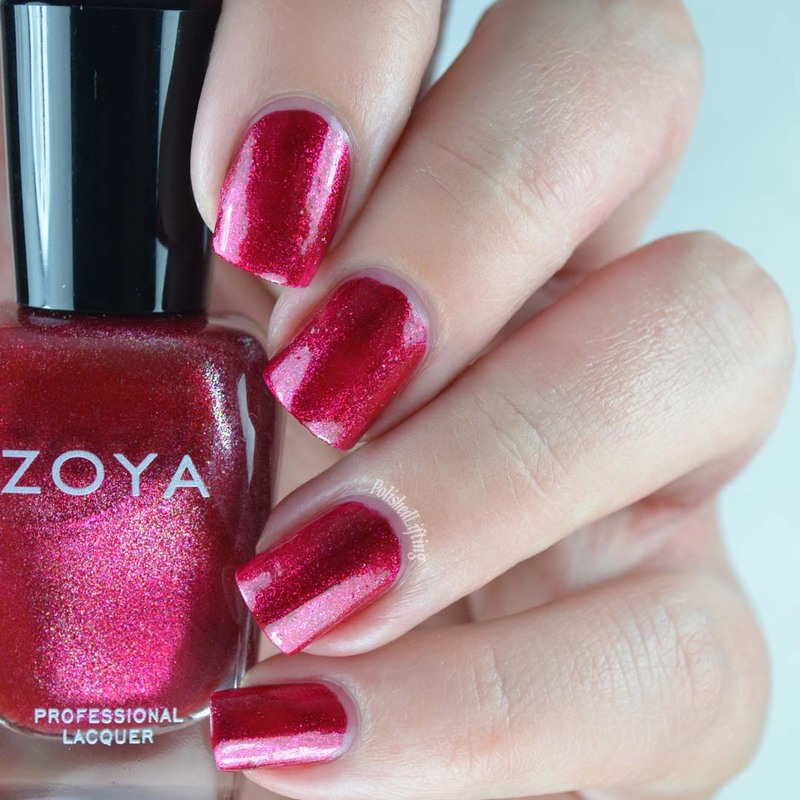 The Zoya Merry & Bright Quad gift set is currently available through their website. The quad retails for $30. If you enjoyed this post you might like Zoya Sunshine Collection Pt 1 | Summer 2018 and Zoya Wanderlust Collection Summer 2017 Pt 2.